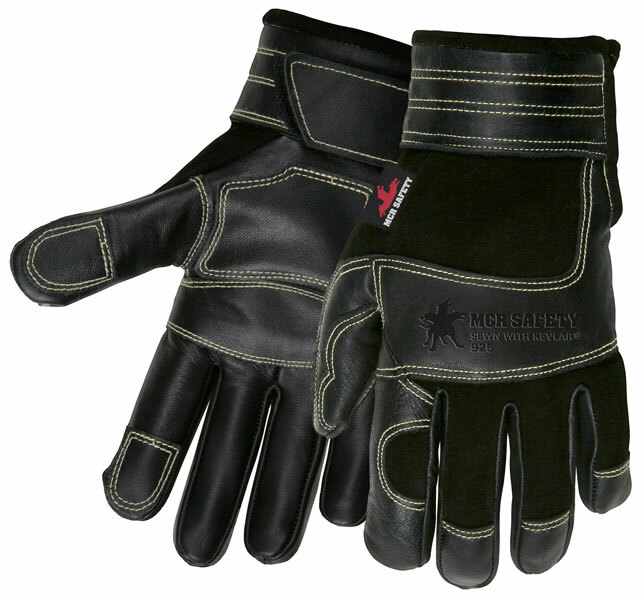 MCR Safety Multi-Task, Black deerskin back, black grain cow palm and patches, sewn with Kevlar®. When it comes time to tackle your busy day, you need gloves that will stand up to a variety of jobs you may encounter. Our MCR Safety Multi-Task gloves will give you the durability and protection you need from anything that comes your way. The 925 features a black split deerskin back with black grain cow palm, patches, cuffs, knuckles, fingertips. Sewn with DuPont™ Kevlar® thread for strength and durability.